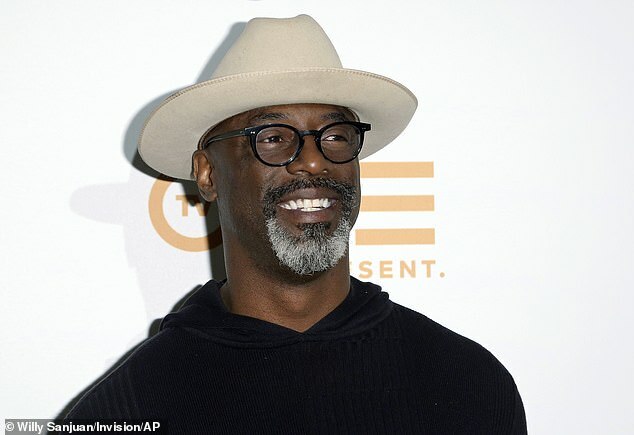 Actor Isaiah Washington has slammed Barack Obama for not supporting 'Africa or the Black Agenda' while praising Donald Trump for inviting him to the White House to celebrate the First Step Act prison reform. The former Grey's Anatomy star tweeted his thanks to '45' while criticizing '44' in a series of posts where he shared pictures of the current president from this week. He wrote: 'I voted for 44 twice. 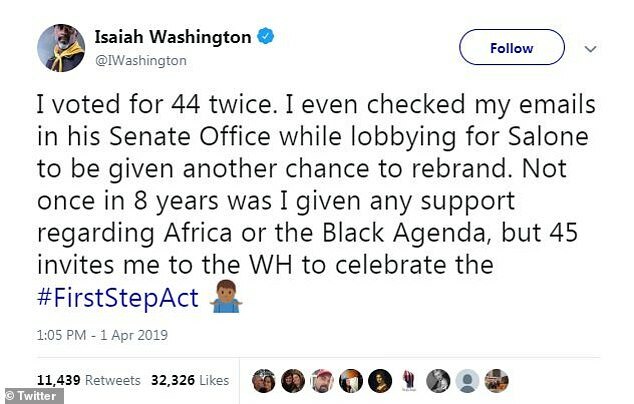 I even checked my emails in his Senate Office while lobbying for Salone to be given another chance to rebrand. 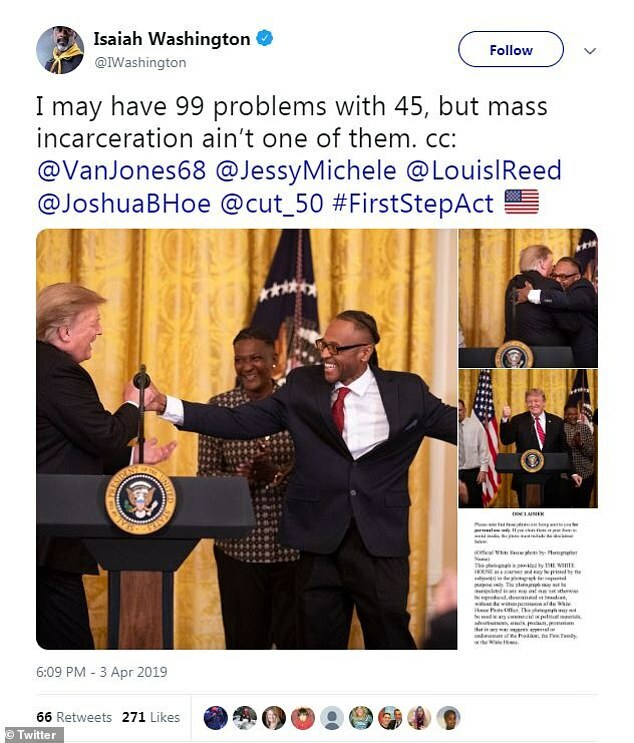 He said a 'Second Step Act' will focus on 'successful re-entry and reduced unemployment for Americans with past criminal records.' His goal is to cut that unemployment rate for ex-prisoners to single digits within five years.